Nabisco — MumbleBee Inc MumbleBee Inc. The big game is just around the corner and even though your favorite team might not be going, we’ll still gather around the television to watch in support. If your team is one of the final two, then congratulations! I’m excited to sit down with my family and friends for some good food and a good game. OREO Cookies and Milka Chocolate came together to create an amazingly delectable chocolate bar. If you know me sweets are my weakness and these OREO Cookies are coated in 100% Alpine milk chocolate and filled with vanilla or mint flavored crème. It’s like milk’s favorite cookie meets worlds favorite chocolate and had a baby. 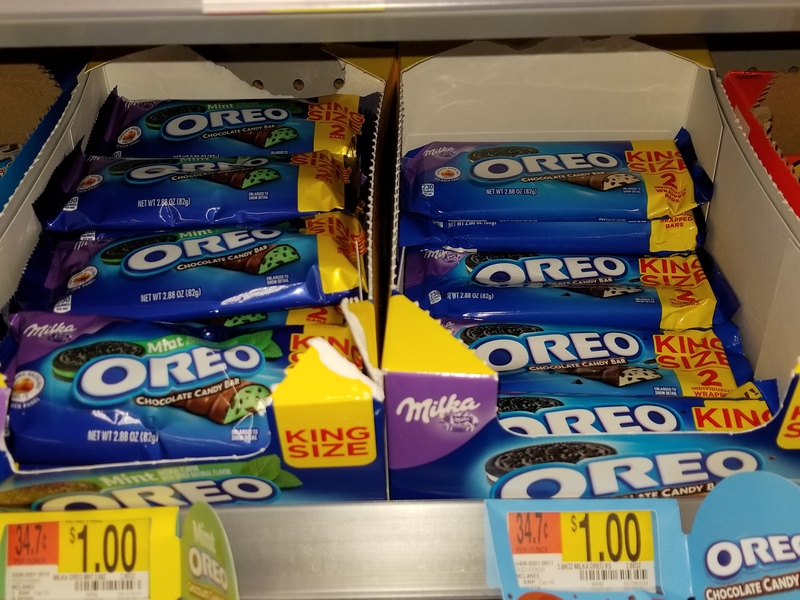 The OREO Chocolate King Size Candy Bars (2.88oz) are now on Rollback at Walmart for just a $1.00. That is a great deal for anything “king sized”. So make sure to pick yours up today as you are checking out! You might need a sugar boost after the shopping trip! You can also order them online and shipped directly to you doorstep. 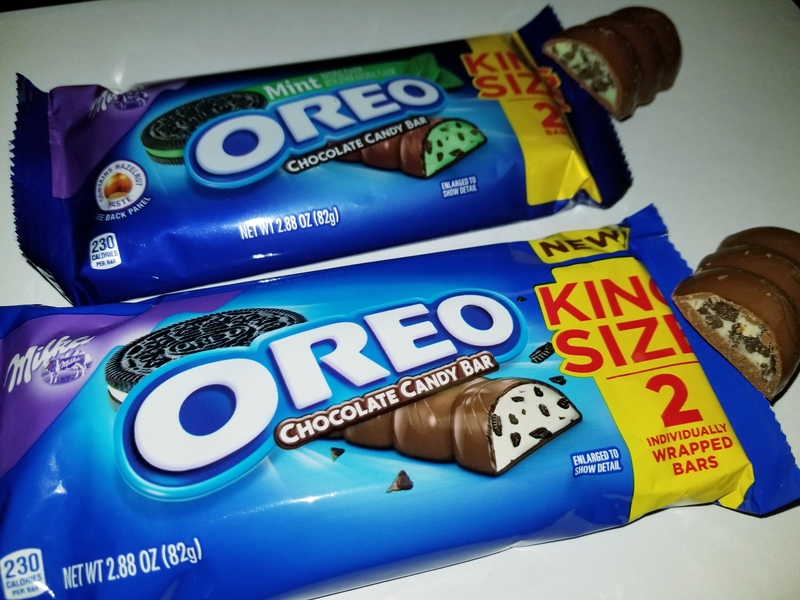 These are seriously delicious and I really enjoyed them both, but liked the mint creme better. These special chocolate bars make a great gift for the chocolate lover in your life or for yourself. OREO is my all time favorite cookie and I like them in all form that OREO comes up with. Milka chocolates are so smooth, rich and creamy how could you not enjoy it. This is a really great combination and takes care of the sweet tooth for sure! I-C will randomly select 7 winners from all program entries and will facilitate fulfillment of the 7 winning prizes. 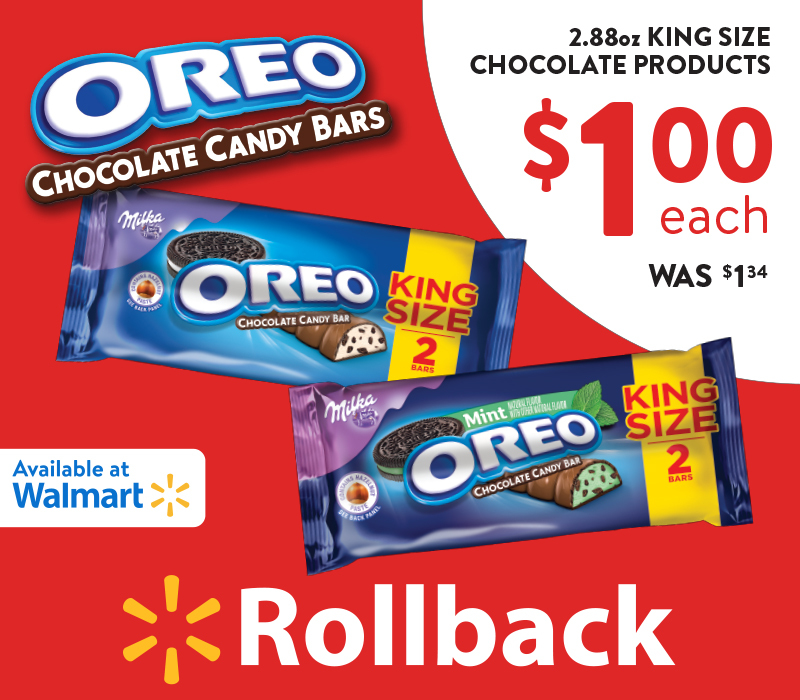 Today you can enter in to win a Walmart gift card to try one or both of the OREO King Size Chocolate Candy Bars. Here is what you can win. No purchase necessary. This Sweepstakes begins on April 9, 2018 at 12:00 a.m. Eastern Time (“ET”) and ends on April 27, 2018 at 11:59 p.m. ET (the “Promotion Period”). Open to all legal residents of the 48 contiguous United States and the District of Columbia, who are 18 years of age or older at time of entry and have an active e-mail account and Internet access prior to the beginning of the Entry Period. The Giveaway is governed by U.S. law and subject to all applicable federal, state and local laws and regulations. What’s your game plan for the NCAA® Final Four®tournament? 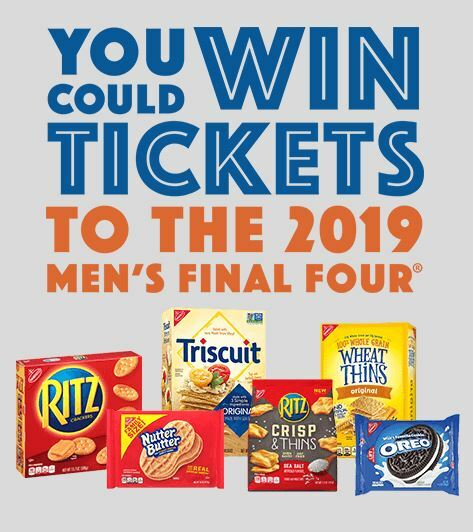 Start by entering below so you can upload a photo with your #CenterCourtSnacks and earn a shot at winning a trip for four (4) to Minneapolis, MN to attend the 2019 NCAA® Men’s Final Four® and more, PLUS a $25 Gift Card INSTANTLY! NO PURCHASE NECESSARY. Open to residents of 50 US, D.C. and Puerto Rico, 18 and older. Ends 11:59 p.m. ET on 4/3/18. Void where prohibited. • A gift bag and $5,800 in spending money for winner only. Join the Celebration and You Could Win $115,000! We hope you brought your party hat. NABISCO® is celebrating 115 years—by giving you the chance to WIN $115,000, complete with a celebrity surprise. But why stop there? We’re also giving away $1,150 daily! 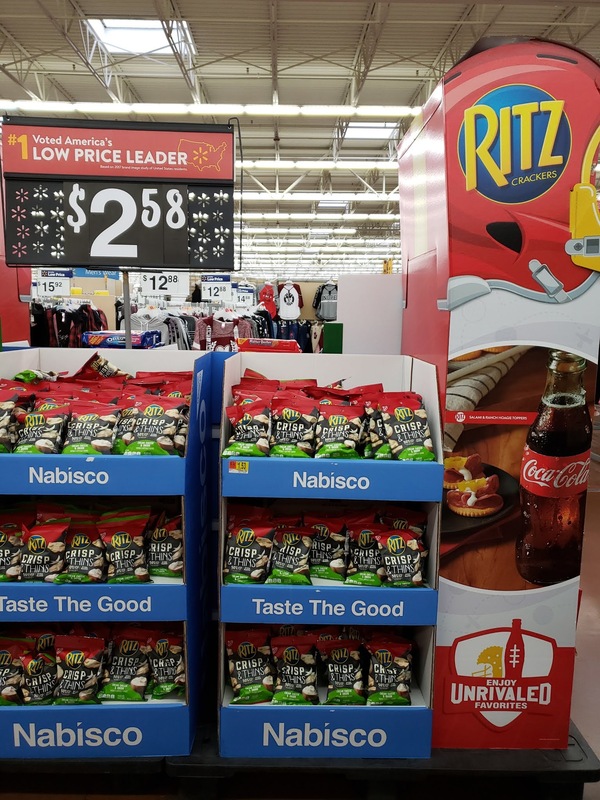 Stock up on your favorite NABISCO® snacks and join the fun for your chance to WIN! Register here and enter a valid NABISCO® UPC code on the next page for your chance to be one of our big winners! NO PURCHASE NECESSARY. Open to residents of the 50 U.S. (D.C.), 18 and older. Ends at 11:59 pm ET on 12/31/16. Void where prohibited. PRIZES AND APPROXIMATE RETAIL VALUES (“ARVS”): Two (2) Grand Prizes (one (1) per Grand Prize Entry Period): A $115,000 check and a drop-in visit to each of the winners’ homes from a celebrity of Sponsor’s choosing (all details determined by Sponsor in its sole discretion). Each Grand Prize winner will be required to agree that Sponsor and/or respective agents will be taking video or photographs and/or otherwise record aspects of the winners’ redemption of the prize, specifically the drop in visit to winner’s home from a celebrity (“Prize Footage”). Winner agrees that Sponsor shall own the Prize Footage and that Sponsor, and respective designees, assigns and licensees shall have the right to edit, exploit, adapt, distribute, post, create derivative works of, and otherwise use the Prize Footage, in whole or in part, and in combination with other materials, in any manner, for any advertising, promotional, trade, commercial or other purposes in any and all media, now or hereafter devised, worldwide in perpetuity, without further payment or consideration, notification or permission. ARV of each Grand Prize: $115,000. One hundred fifteen (115) First Prizes (one (1) per Daily Entry Period): A $1,150 check. ARV of each First Prize: $1,150. 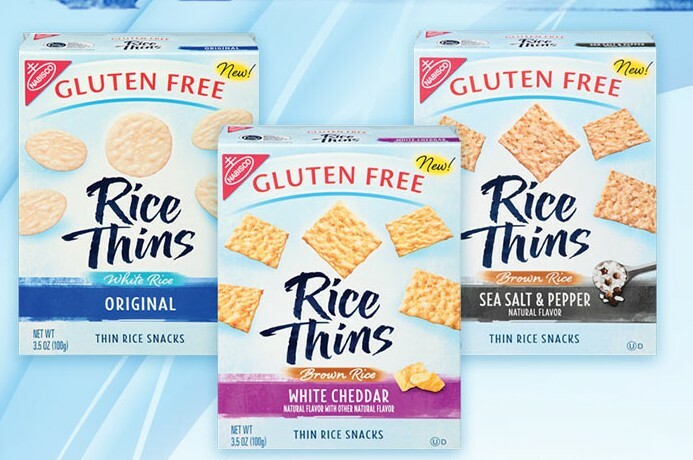 Get your free* Nabisco Rice Thins Coupon (Value up to $2.50). *By mail. While supplies last. Limit (1) offer per household. Offer only available to consumers in the United States.